The DGA SP Line Rogue is a maximum distance driver that combines both control and distance, while maintaining a predictable flight path. 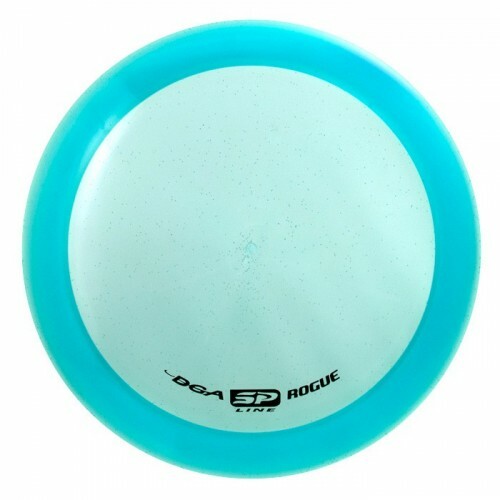 For low to medium arm speeds, this disc works perfectly for straight shots that do not require significant fade, and can also be used for long turn-overs. Those with higher arm speeds will notice that the Rogue is perfect for any flip-to-flat line, narrow tunnel drives, as well as the huge flex shots. This disc golf disc has plenty of glide to go with its high speed profile making it a great choice for pure distance drives off the tee. It is ideal for beginners who are looking to throw maximum distance. It has the potential to become the 'go-to' driver for many top level amateur and professional players. Features - controllable distance driver, predictable flight, increased glide. Diameter 21.1 cm. Rim Width 2.2 cm. Rim Depth 1.2 cm.